We’ll have what she’s having! 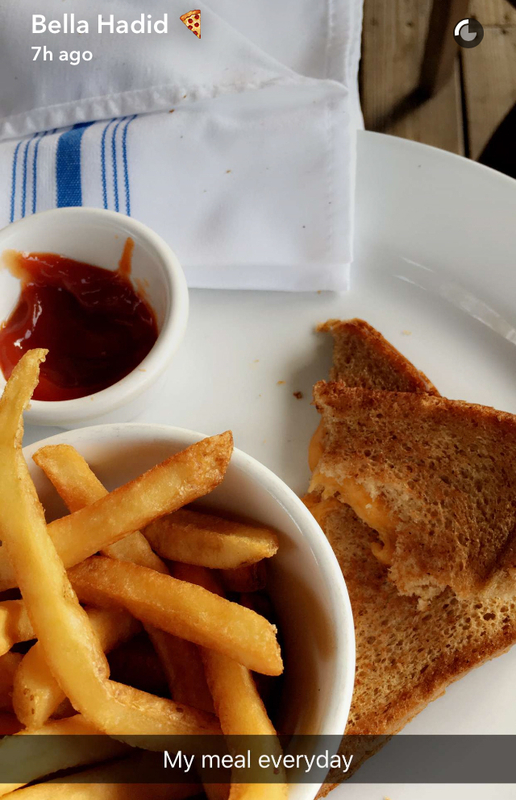 While some Victoria’s Secret Angels resorted to strenuous workouts and clean eating to prep for the November 30 show in Paris, Bella Hadid opted for a simpler method. In a December 12 Snapchat story, the Dior Beauty ambassador, 20, shared her unconventional daily meal plan. PHOTOS: Victoria's Secret Fashion Show 2016: All the Best Runway Shots!